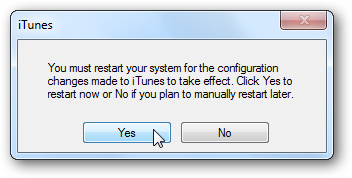 If you are giving up on iTunes for another music player, uninstalling it completely can be a hassle. Here we show you how to completely remove all traces of it including QuickTime, iTunes Helper, Bonjour…all of it. 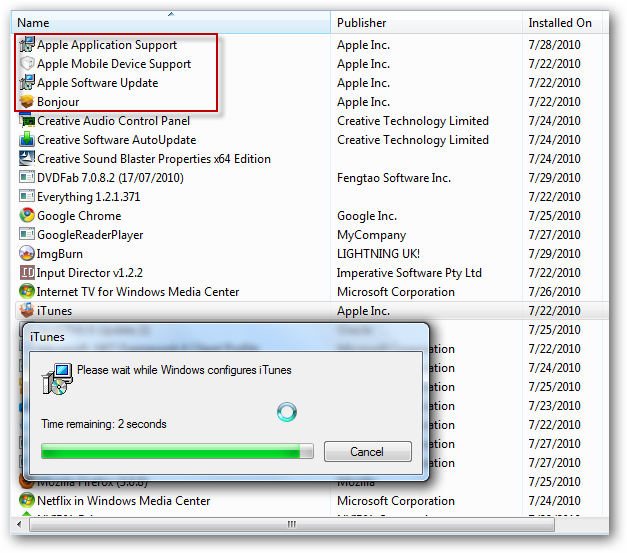 We recently showed you how to make iTunes perform faster on your Windows computer. 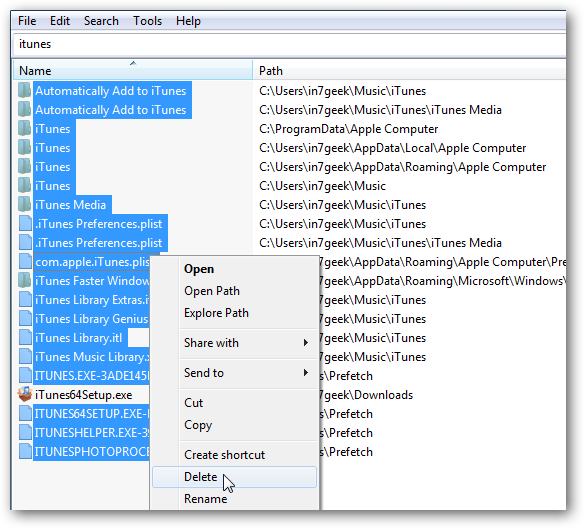 While those tricks do work, iTunes can still be frustrating for some Windows users. If you’re looking to completely remove all traces of it, here we take a look at a couple ways to get it done. 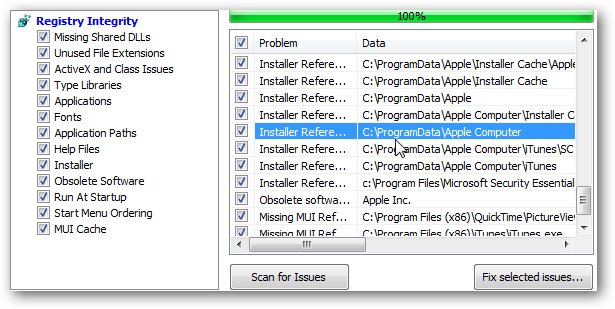 A restart of your system is required to complete the installation…will everything be gone after that? Unfortunately not. When we open up Programs and Features after the restart, all of those Apple programs and services are left behind…including QuickTime. You’ll need to go through and uninstall each item. Unfortunately, even doing that leaves a lot behind. Rather than go through a rant about this annoyance like I did a few years ago, let’s get down to business and show how to get rid of everything for good. Note: Before doing any of the following steps, make sure you’re closed out of all running programs and apps. Also, make sure you backup all of your purchased music to a safe location on another drive. 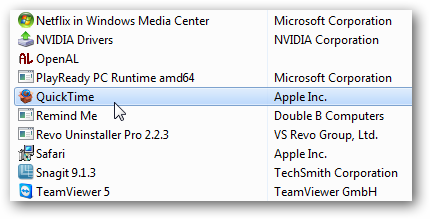 One uninstall utility you can use to help remove left over traces of Apple software on your Windows machine is Revo Uninstaller. Either the free version or Revo Uninstall Pro (links below) which we show in this example. The Pro version gives you a free 30 day trial, so let’s start with it. 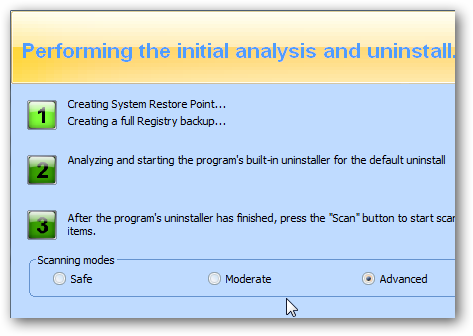 The neat thing with Revo Uninstaller Pro is that it will create a Restore Point before removing it, which is handy incase something goes wrong. 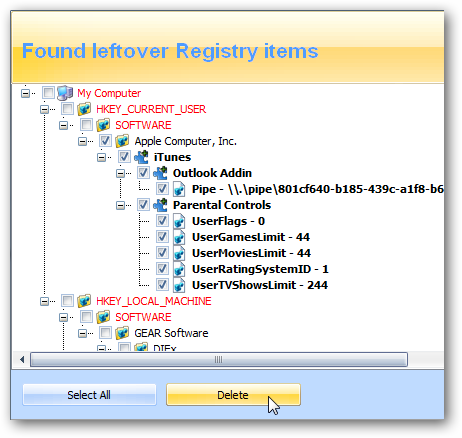 Then with Revo, you’ll have the ability to scan for leftover files and registry settings, and will be surprised at the number of items it finds. 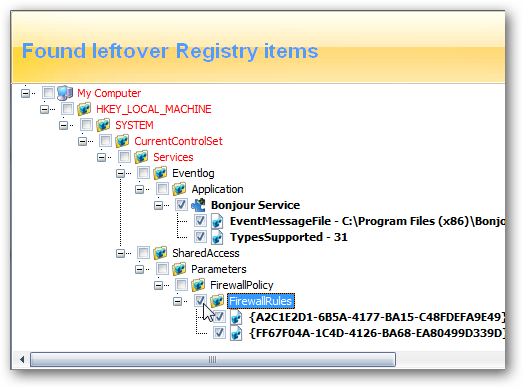 Here it found several left over Registry items…make sure to only select the blue highlighted items then delete them. Then the next step scans for leftover files and folders…quite a lot. 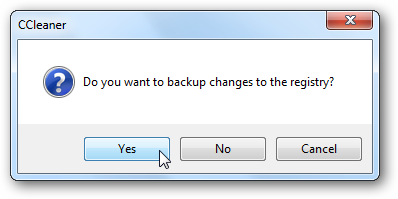 If you want everything completely off your system, just select them all and delete. 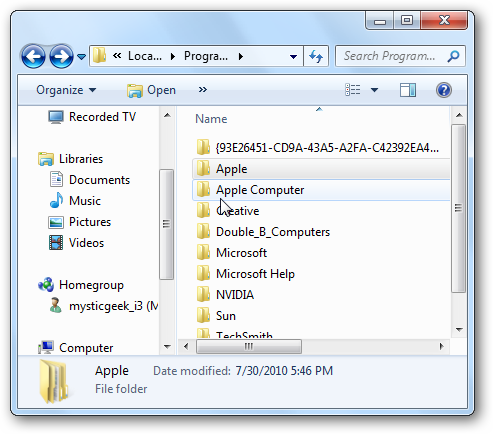 It also found leftover Registry items after uninstalling QuickTime and Bonjour. 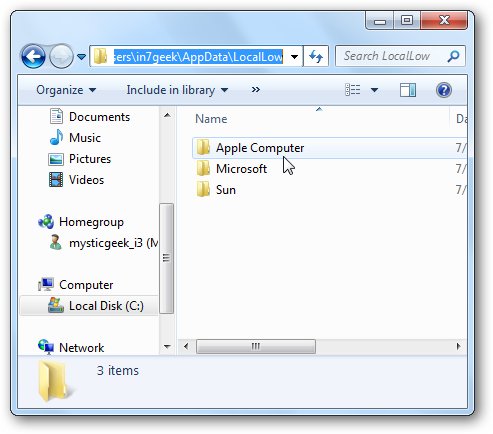 Even with the added help of Revo Uninstaller finding leftover Registry entries, files, and folders…we ran the awesome utility Everything which, as its name implies, searches virtually everything on your local machine. It located several more leftovers that Revo didn’t catch. But you can easily delete them from here. 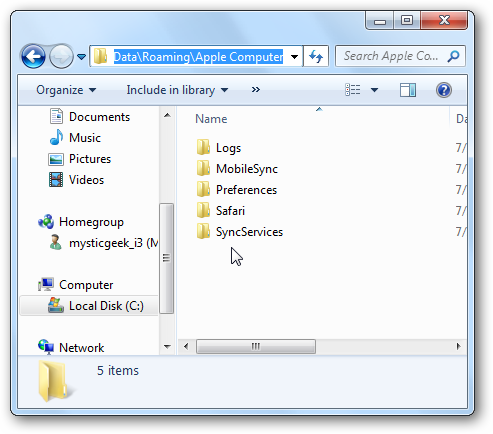 Other terms you should search for are Apple, QuickTime, and iPod. Being the curious geeks we are, we navigated to some different directories we thought some Apple remnants my still be, and we found them. For example here in C:\Program Files. And C:\Users\computer_name\AppData\Local we found some empty folders. Some QuickTime leftovers were found in C:\Users\Computer_Name\AppData\LocalLow. We deleted all of the leftovers manually. 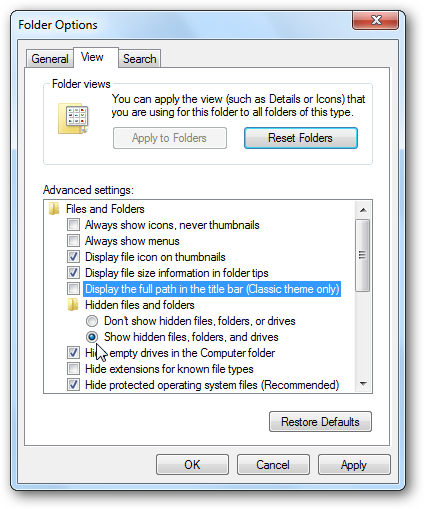 To make sure you can see your AppData folder go to Folder Options and select Show Hidden Files,folders, and drives. At this point you should be pretty good and most of the annoying iTunes and QuickTime leftovers should be gone. 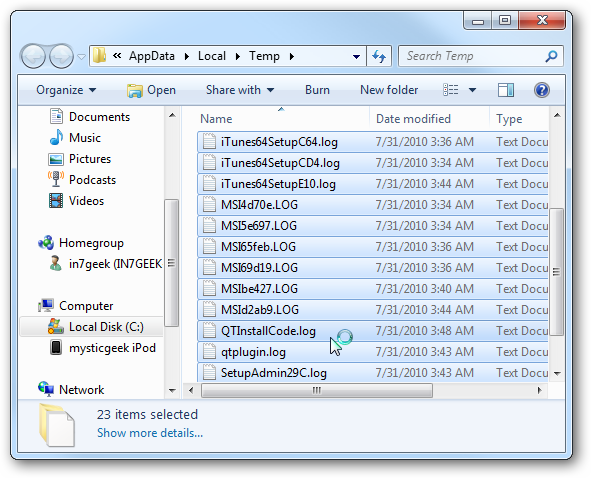 If you really want to be thorough, you can manually search the Registry for terms like iTunes, QuickTime, Apple..etc. But using this method isn’t for everyone, and you really need to pay attention to what your deleting. If you decide to do this, make sure to backup your Registry first. 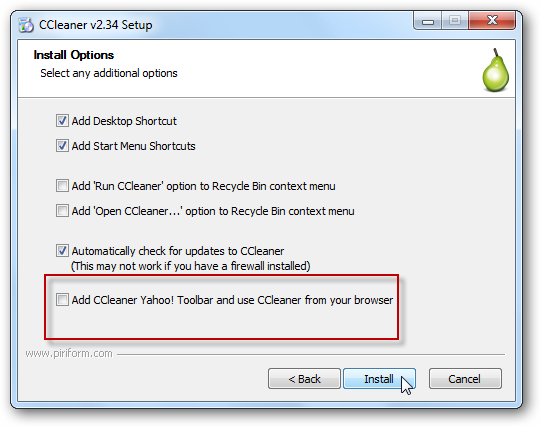 An easier method for most users would be to run a cleanup utility like CCleaner. If you haven’t already installed CCleaner you can get it from the link below, including the portable version. When installing it though, make sure to uncheck installing the worthless Yahoo Toolbar. When we ran it, there were Registry settings still there that we could get rid of. When selecting to fix the issues, it offers to backup the registry which again is always a great idea before making any changes. 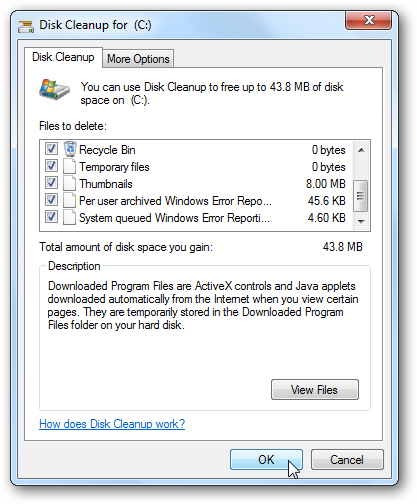 Another thing that doesn’t hurt to make sure everything is gone is to run Disk Cleanup. Now hit Ctrl+A to select everything in the Temp folder and then Delete. 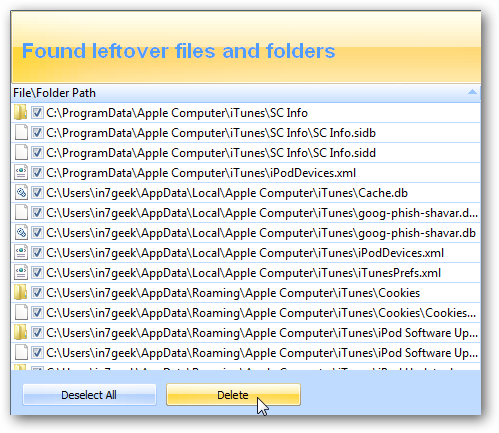 While Revo and CCleaner are valuable tools in helping you manually remove all traces of iTunes and any thing Apple, another free utility to consider is ByeTunes. In our tests, it seems to remove iTunes well enough, but not all the other stuff like Mobile Support, Bonjour…etc. So you can start with it, then go through and manually remove the rest. 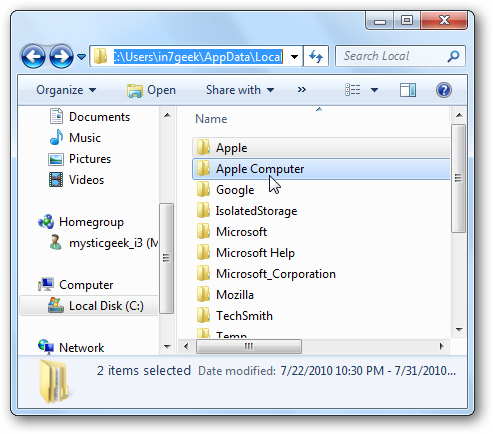 Is completely removing iTunes and its apps from you Windows machine a huge annoyance? Well yes, it is indeed. However following these steps will help you get rid of all traces of everything it installed. 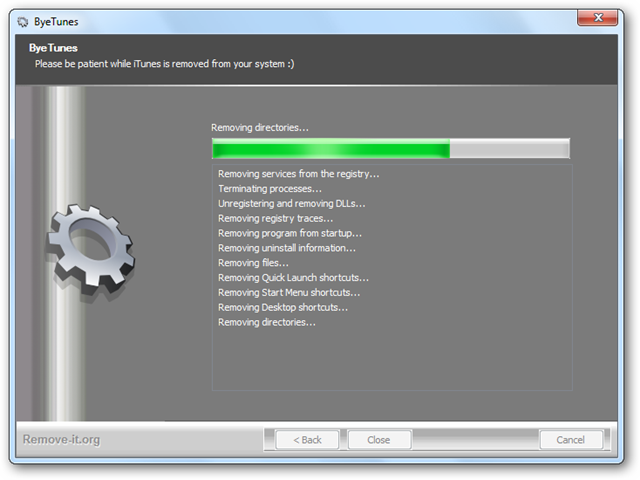 In our example we were removing iTunes 9.2.1.5 from Windows 7 Ultimate 64-bit. These steps will work with XP, Vista, and Windows 7 32-bit editions as well. 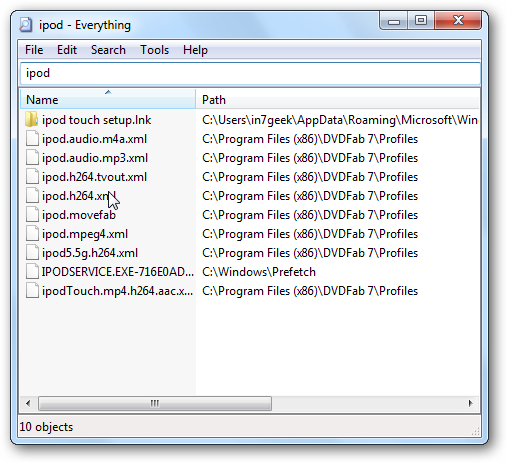 If you’re looking for a fully customizable alternative that will recognize your iPod check out our article on Foobar2000. What is your take? 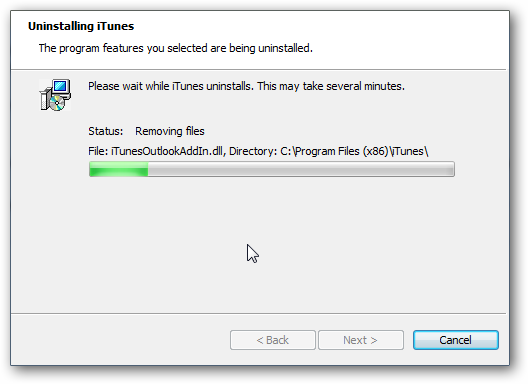 Have you had issue uninstalling iTunes or any extra tips to share for removing it? Leave a comment and let us know.